Teac PD-M650 cartridge 650mb. These cartridges were used mainly on windows systems but as they hold about the same as a CD, and a CD was cheaper, they fell out of favour with computer users. The drives are no longer made however we can read the data from the PD cartridge and transfer it to Windows or Apple Mac. If you need a Teac PD-M650 cartridge 650mb service, then contact our friendly company. 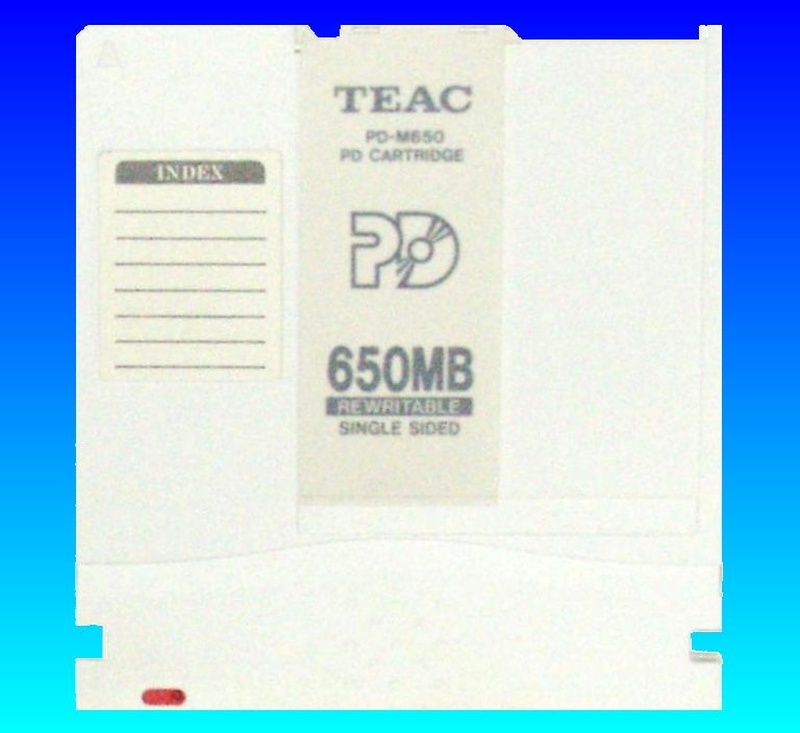 Teac PD-M650 cartridge 650mb. These cartridges were used mainly on windows systems but as they hold about the same as a CD, and a CD was cheaper, they fell out of favour with computer users. The drives are no longer made however we can read the data from the PD cartridge and transfer it to Windows or Apple Mac..